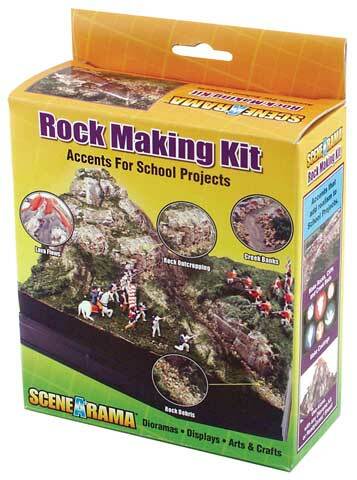 This kit can be used to enhance a diorama or display with rocky areas. It includes everything needed to add rock outcroppings, rock debris, lava flows, creek banks or cliffs. It contains rock mold, casting plaster, rock colors, talus, a mixing tray, a foam brush, a stir stick, project glue, and easy instructions.